On Thursday June 27th we will host our annual Golf Classic in Mahon Golf Club. 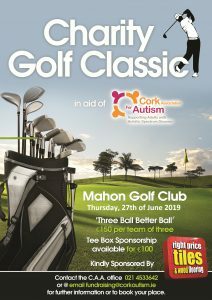 The CAA who provide a range of support services to adults with autism are hoping to raise over €10,000 from this event but need support from the local community and golf enthusiasts to reach their target. Teams of three are being recruited at a cost of €150 and tee boxes are available to sponsor by local businesses for €100. Right Price Tiles have come on board as the main sponsor again this year to support this worthy cause. The Cork Association for Autism provides supports to over 300 individuals throughout Cork and Kerry. Services include residential care, respite, day service, home support and an Asperger Syndrome Support Service. This year the charity are fundraising to support the vehicle running costs and overall transportation costs associated with accommodating travel from service users’ homes to our provided service centres and to access community integration activities. The transport is a fundamentally important aspect of the services CAA provides as it aids in achieving community integration, improving service user’s socialization skills and promotes independence. All are welcome to participate in the Classic, from beginners to Irish Open contenders! 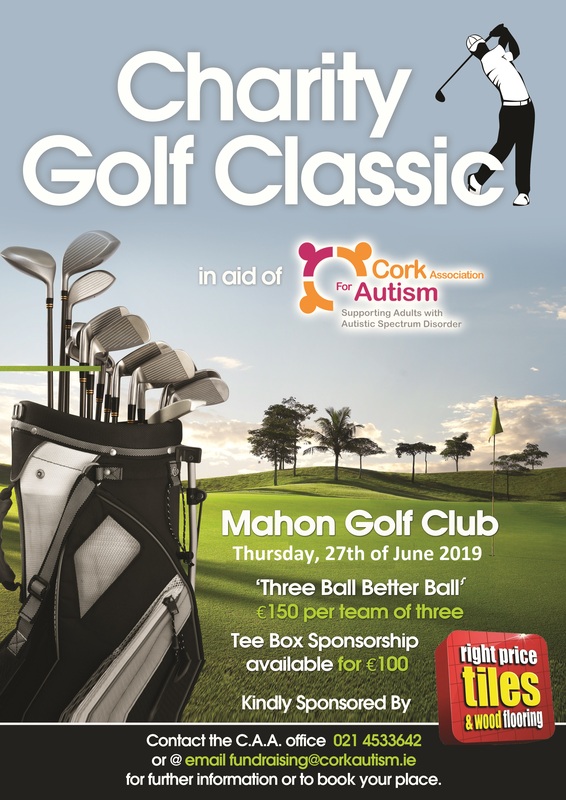 To book in a team for this golf classic or to sponsor a tee box phone Denise in the CAA fundraising office on 021 453 3642 or email d.murphy@corkautism.ie.